Google Apps offers tons of value to businesses large and small. Many businesses evaluating Google Apps don't realize how widely adopted the service has become. The most common questions our Business Development team hears are pretty basic. Can we keep our email addresses? Can we share our calendars? Will Google Apps work for our remote employees? Salesforce.com CEO Marc Benioff is famous for stating that cloud computing "democratizes technology" and he's right. For the first time in the history of computing a business with a single employee has access to technology that's just as powerful as the world's richest corporations. What are some familiar companies leveraging Google Apps today? Google has about 50,000 employees and generates about $50,000,000,000 every year in revenue. They run their organization on Google Apps for Business and have for many years. Unlike Microsoft who offers less functional versions of Office 365 to small businesses, Google offers their top level of service to every business. It's no surprise that the World's Most Innovative Company leverages Google Apps. Salesforce has about 10,000 employees and generates more than $3,000,000,000 in annual revenue. Salesforce is the world's most successful enterprise cloud computing company. This October, Netflix passed HBO in reaching nearly 30 million paid subscribers. Netflix has more than 2,000 employees and has an annual revenue of about $4,000,000,000. Netflix has also jumped into the original programming game and had huge success with shows like House of Cards and Black is the New Orange as well as answering fans prayers with season 4 of Arrested Development. 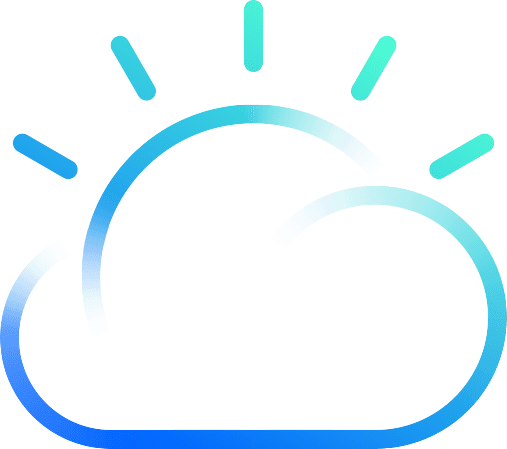 When you're pursuing scientific exploration of the entire world, cloud computing is a great fit! For more than 100 years Nat Geo has been educating the rest of us about our beautiful planet. 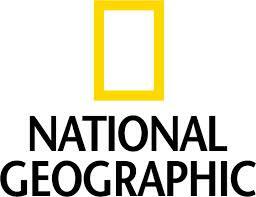 Nat Geo is a global organization and must transcend geography and language. The last place you'll find many Nat Geo employees is at a desk. By definition Nat Geo's mission is mobile! Costco has about 180,000 employees and annual revenues of about $100 billion. Costco was founded in 1976 in San Diego, they're headquartered in Washington today. When you have more than 600 locations all over the world, you need messaging and collaboration services that are global as well. Gmail has much more in common with the Google search engine than it does Outlook or Exchange. The last thing Costco has to worry about when opening a store anywhere in the world is how to get Google Apps to the new location. Staying at a Holiday Inn can make you smarter, which is why this team moved to Google Apps. Nearly 3,500 locations, Holiday Inn is everywhere - just like Google Apps. Holiday Inn's owner InterContinental Hotels Group - the world's largest hotel company - has about 8,000 employees and when your operations span nearly 100 countries - you need global IT services. Google Apps delivers, saving more than 30% over their Microsoft counterparts. Specialized generates about $500 million in annual revenue building some of the world's best bicycles. Specialized, like cycling, is a global enterprise; working across multiple countries and languages. When you're building the world's fastest bikes, you need the world's fastest Apps! Twitter is planning to go public in the very near future. The company may soon have a market capitalization of $25 billion - putting it close the market value of Salesforce.com! The company has more than 2,000 employees and generates about $425,000,000 in annual revenue - which has been growing by more than 100% year over year. When you're rapidly scaling a global business, Google Apps is a no-brainer. Everyday 1 billion files are saved to Dropbox. This year the service may add as many as 100 million users! The service has seen massive growth in just 5 short years. The rate at which Dropbox must grow to meet user demand is mind boggling. Only one messaging and collaboration suite can keep up with today's fastest growing companies! Whirlpool Corporation has a rich history, founded more than 100 years ago. The company has about 70,000 employees and generates more than $18,400,000,000 in annual revenue. Whirlpool is a Fortune 500 multinational corporation. They needed technology that could support the next 100 years of innovation! Pinterest was the fastest site in history to break through the 10 million unique visitors per month mark. In a few short years Pinterest went from cool idea to hundreds of employees and a valuation of several billion dollars. When you create something great, the last thing you need slowing you down is outdated technology like the hosted server products of Office 365. With Google Apps Pinterest can grow their team and user base without missing a beat. Stand-up comedy is one of the hardest jobs in the world. The Second City has turned out many of the world's best comedic geniuses. Dan Aykroyd, Mike Meyers, Joan Rivers, Alan Arkin, Bill Murray, Julia Louis-Dreyfus, Jane Lynch, Steve Colbert, Tina Fey and hundreds of other incredibly talented people. The Second City is the very definition of innovation. They need Apps that can at least try and keep up! Is there a neighborhood in the United States right now without a Keller Williams sign in a yard or two or ten? Keller Williams is the largest real estate franchise company in North America, with approximately 700 offices and 90,000 associates around the world. The world has changed a lot in the past 5 years. We are more mobile than ever! This is especially true for Keller Williams agents. These agents need Apps that are going to work everywhere and on any device - just like they do. Google Apps, like Keller Williams, gets the job done! Fujifilm generates about $24 billion in annual revenue and supports more than 35,000 employees. Fujifilm was founded nearly 80 years ago and has a rich history of innovation across dozens of industries. As technology has changed the company has worked to reinvent itself and Google Apps is helping them do so again! The YMCA was founded about 170 years ago! YMCAs all over the country work to promote youth development, healthy living and social responsibility. Many of us went to soccer camp, took swim lessons, learned gymnastics, played basketball or learned a hundred other life skills at the Y. Today we can watch our kids do the same. We've worked with dozens of YMCAs all over the country to help them take advantage of Google Apps for Nonprofits, a service provided for free from Google! Hawaii, Missouri, Kansas, Illinois, Massachusetts, Texas, Michigan, California, Colorado and many other states have YMCAs that have Gone Google! 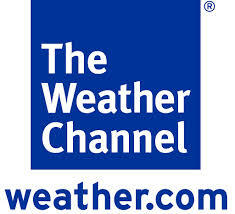 Have you checked the Weather Channel today? We have, it's cold in Kansas City! Even the harshest weather can't bring down Google Apps. The geographically redundant infrastructure of Google Apps will ensure your communications are up and running when you need them the most. The last thing you want to worry about when there's damage to your home or business is a computer server. Jaguar has a rich 90 year history, creating some of the most innovative vehicles on the planet. Jaguar has around 10,000 employees. Jaguar migrated to Google Apps in a few months, saving nearly 70% on email costs. Denny's is one of America's largest full-service restaurant chains. The chain was founded in 1953 and is headquartered in Spartanburg, SC. The Dennys brand consists of 1,696 franchised, licensed and company-operated restaurants with combined sales of $2.5 billion. This includes 1,594 restaurants in the United States and 102 international locations in Canada, Costa Rica, Mexico, Honduras, Guam, Curaçao, Puerto Rico, Dominican Republic, El Salvador, Chile, and New Zealand. With a major application migration, Dennys CIO, Alex Lewis, was committed to finding a platform that would provide a modern, mobile-first interface for its employees. He also wanted a solution that could ignite collaboration across the company, its restaurants, its franchisees, and its business partners.